My name is Joe. I joined this forum back in the spring when I had my 1996 Vulcan 500. I had purchased it back in Feb. of this year at the last minute to attend Bike Week in Daytona. I put 7k miles on it since then. Then one hot day in July, I was on my way home from work. Going west on Three Notch road, I zoned out. The next thing I know, the cars in front of me had stopped. I was only 50ft from the car in front of me and I was going 40mph. I hit the brakes and the rear tire instantly locked up. I somehow steered the bike off the road instead of rear ending the car in front of me. By the time I left the asphalt the bike was pointed in the other direction and I was high sided into the ditch. I had a concussion and some bad bruising. The bike was totaled only because the tank was dented, front fender dented and the left muffler dented. I am a good driver. I had been a truck driver with 800k accident free miles. I have driven just about anything that floats or has wheels safely. I always thought that if I were in an accident, it would be because someone hit me. Come to find out I had several things working against me that day. No breakfast and no lunch. I had driven the family back from Miami the day before. I had undiagnosed sleep apnea. I should have known as I do now that not eating properly and being exhausted from the day before means no bike riding! Since then I went in for a sleep apnea study and received a c-pap machine. So any way I was just a lurker on this forum right up to the week before my accident. After my accident the family wanted me to stay away from bikes for a while. It was easier for me to forget bikes for awhile. About a month ago I started dropping hints to feel my wife out. Enough time had passed and her faith restored in me, she said o.k. I had decide that I would save my money for a while and get something newer and bigger than the old 500. But, Hayweed comes along and screws that idea for me (he did not know . 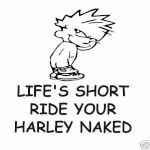 I have always loved the style of the older Honda Magna's but I did not want a bike from back in the 80's. But, he had a 88 Super Magna. I couldn't resist and I purchased it from him last Thursday night. I have put 300 miles on it over the weekend with no problems. Everything that he told me about the bike was true. He is a good guy to deal with. Well, here I am, back in the saddle. Welcome to the forum! Glad to hear you're okay dude! I'm a big fan of the magnas as well and you made a good purchase with the super magna. You don't see those very often anymore. welcome back to 2 wheels ! Welcome back Joe. I am so glad that you are loving the super. It is really nice to know that someone will take care of her as I did. I wish I had the time to take her apart myself but it just never happens that way. Glad you came bake to the forum. Enjoy. Man I wanna ride that Magna. I will let you ride mine if I can ride yours.. Welcome back and glad to hear everything worked out. Hayweed, It would be awesome to disassemble it and restore the bike. I will try to do my best and keep it on the road until I get a newer bike. That way I will still have a ride while the Magna is down. Wierdbeard. Bring you ear plugs when you do. Hayweed put some mighty loud pipes on that beast. I cant go far without startling old women and babies. But hey, I was following a few friends on a ride Saturday. 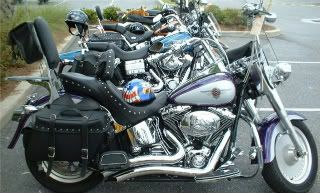 I was bringing up the rear and the three bikes ahead of me said that they could hear me over their stock Harleys. Hahaha........I found some good earplugs today, so i think the pipes will stay on. Welcome back! I am happy that a member got that super magna! Glad you"re healthy and back on two wheels. The fun way to roll . Look in the Garage thread Scadoodle.